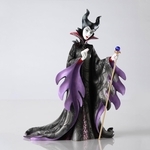 Disney's Maleficent is a delightfully sinister woman, and one that not many would care to trifle with! 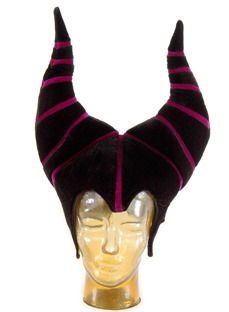 If you're feeling a bit villainous, this is the perfect way to show it! This deluxe hat features shiny black velvet, and deep purple trim. Hat features a velcro-elastic size adjuster to ensure a custom fit.